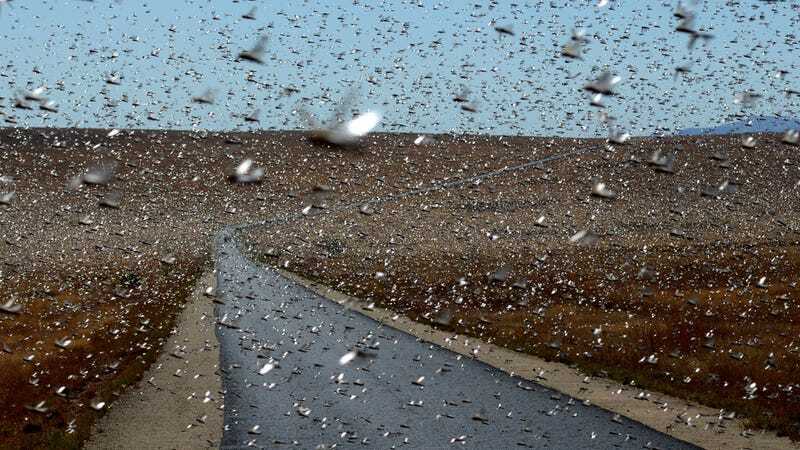 A plague of locusts sounds like the kind of biblical torment that we'll never really need to worry about. But they're real, they happen—and boy do they cause trouble. This picture shows a plague of billions of locusts swarming the island of Madagascar, destroying crops and grazing lands as they go. Worse, the country is already on the brink of famine—and its 13 million inhabitants need things to change, fast.